Purchase this product now and earn 95 ID Points! Fans can imagine the biggest battles and missions in the STAR WARS saga with helmets from the black series. With exquisite features and decoration, this series embodies the quality and realism that STAR WARS devotees love. 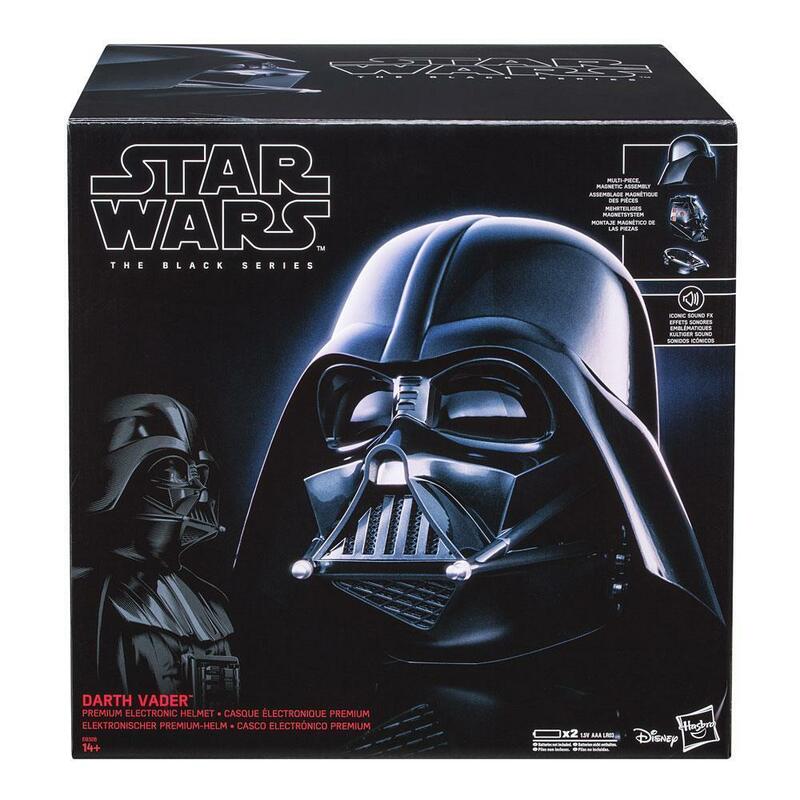 Imagine donning the signature helmet of Darth Vader with the Darth Vader premium electronic helmet, featuring collar, mask, and hood pieces for multi-piece, adjustable fit and assembly. When the collar is put on, wearers can activate breathing sound effects. When the mask is fitted to the collar with the secondary button and magnetic holds, helmet sealing sound effects will be activated. Using the primary button, wearers can activate breathing sound effects, and when removing the mask, activate helmet removal sounds. With movie-accurate sound effects and premium interior and exterior design, this helmet delivers on the iconic presentation and detail of role play items from STAR WARS the black series. Additional products each sold separately. STAR WARS products are produced by Hasbro under license from Lucasfilm Ltd. Hasbro and all related terms are trademarks of Hasbro.